The Call of Duty World League is currently in its first year of operation, and organized by gaming giant Activision. All teams are competing for cash prizes and points that will determine their placing at the end of the season. The season begins on January 5th, 2016. The team placements and Challenger Division results earned throughout the season will determine which teams are allowed to participate in the $3 million dollar Call of Duty Championship. View the complete CWL Schedule here. Previously, the major professional Call of Duty leagues were run by Major League Gaming (MLG), and featured weekly 2k and 5k tournaments where players would compete for cash and Pro Points. Those pro points were owned by individual players, and thus traveled with them when they went to new teams. The pro points determined seeding for MLG tournaments. In 2016, the main professional league is operated and organized by Activision. One of the official partners of the new league is Sony, leading competitive play to switch from Microsoft’s Xbox consoles to Sony’s next generation PS4 console. Call of Duty Black Ops 3 has an “M” rating in the United States, meaning it cannot be purchased by a person who is under 18, unless accompanied by a parent. Due to the league being operated by the game maker, an age limit for players has been enforced for the first time- leading players who are under 18 scrambling to find playing opportunities elsewhere. Activision also enforced a rule for the league in which no one organization could own and operate two teams in the league. Starting in late 2015, teams from around the world had a chance to qualify for individual leagues in their region through a LAN tournament, and later, an online qualification tournament. Regions allowed to participate in the qualification stages were North America, Europe, and Australia/New Zealand. Teams from outside of those regions may qualify for the big prize, The Call of Duty Championship, by taking part in the Challenge Division. 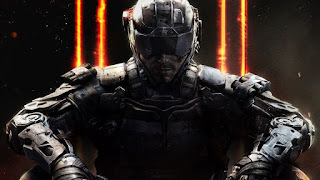 Activision has stated the Call of Duty World League matches begin in January of 2016. Qualified teams will earn cash, and points that will determine which teams make it to the Call of Duty Championship. During the 2015 qualification process, a few new, large organizations known for their role in other eSports attempted to enter the lucrative and popular North American Call of Duty scene. Counter Logic Gaming, Luminosity Gaming, and Cloud9 all fielded teams in the LAN and online qualifiers. Cloud9’s squad, lead by CoD veteran Merk failed to qualify. Team SoloMid (TSM) is also rumored to be picking up the team of well known players who qualified under the name “Team Question Mark”. Follow @esports_source for more guides, news, and updates!